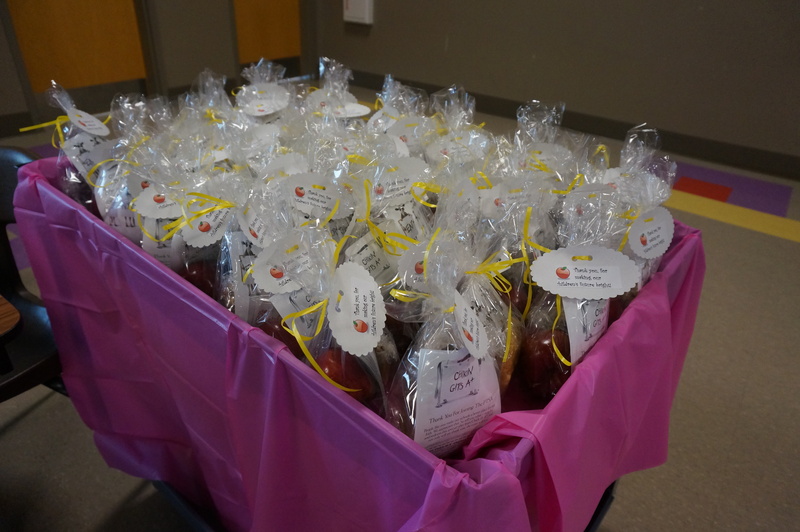 On Monday morning, the KCSMA PTO welcomed the teachers and staff with goodie bags. 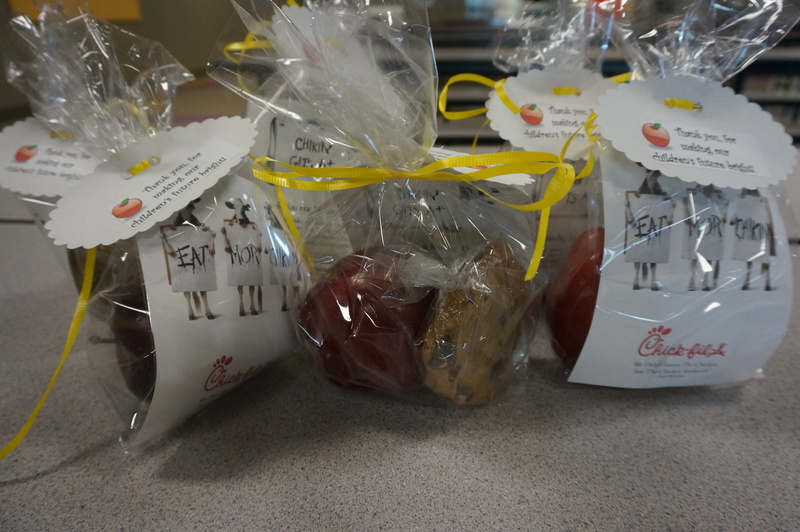 Inside the goodie bag was an apple, a cookie, and a coupon for Chick-Fil-A. This is just another way the PTO demonstrates teacher and staff appreciation by the KCSMA community. Please remember to join the PTO. Your membership makes a difference to the students as well as the teachers and staff at KCSMA. · It makes our voice stronger as we advocate for the kids! · Your membership dues help fund our many programs! · It is a sign of your support for all kids in our KCSMA community! Thank you for your donations and enjoy the smiles on the teachers faces!! !